To differentiate this Ah Mah from my maternal Ah Mah, my brother and I call my paternal grandmother ngiah ngiag Ah Mah. "Ngiah" is teochew for beautiful :) She had this portrait of herself in her house which showed an elegant young lady so the term ngiah ngiah Ah Mah was coined and stuck to this day. During my childhood, my brother and I will spend afternoons at her flat in Farrer Road. It was a house full of curios and knick knacks and we loved the white arowana fish she had in a 4 feet tank and the couple of canary birds she kept. Once they even made nest and laid a few eggs! 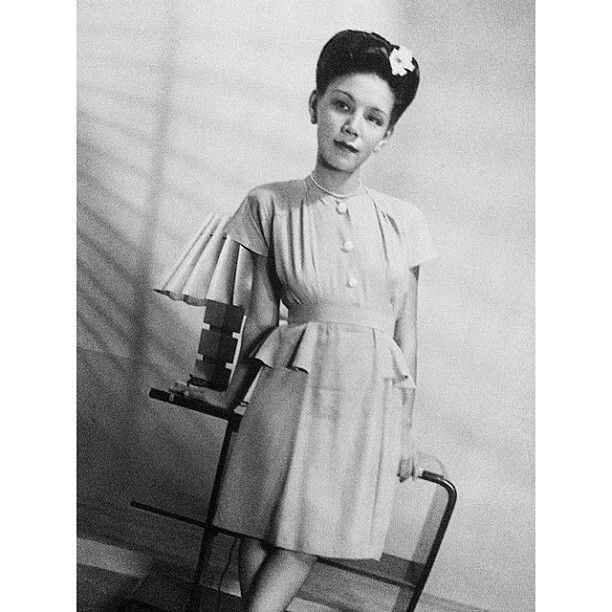 She was strict with us when it came to manners and will smack our legs with a cane if we shook them while eating at the dining table. But still my brother and I enjoyed ourselves at her home and looked forward to Chinese New Year visiting every year. Today as we bid Ah Mah farewell, the sun was shining and that reminded me that it was her that gave Kayden his chinese name. She named him Yong Ming - Forever Bright, he was born on a sunny afternoon. And it was another sunny afternoon that we say goodbye to you. I chose a white rose and placed it over your heart. 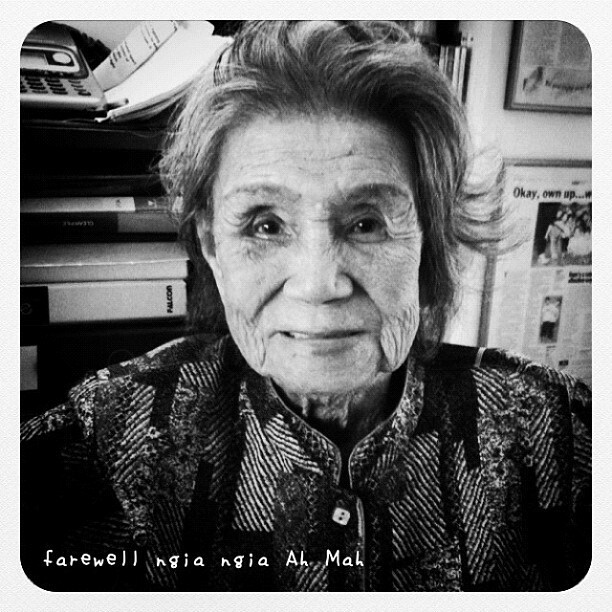 Dear Ah Mah, I have no doubt you lived a great 90 odd years, and understand that it's time for you to rest in peace. See you on the other side, I'll miss you.